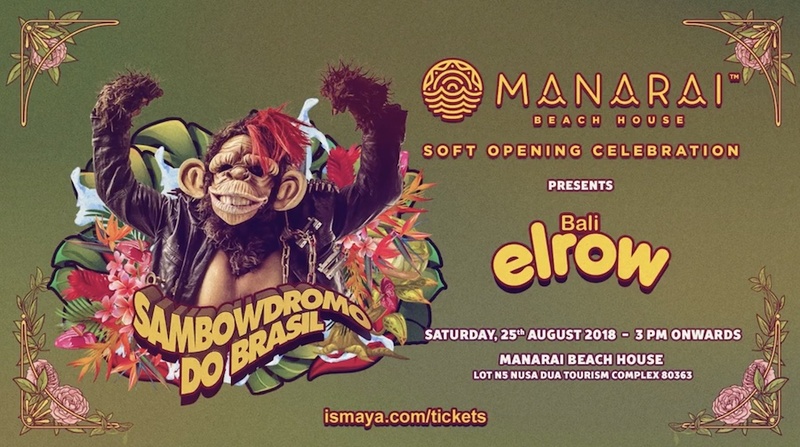 Debuting in Bali from its summer residency at Amnesia in Ibiza, elrow comes to Bali on the 25th of August 2018 as the soft opening celebration of Manarai Beach House in Nusa Dua. Elrow is a full-on experience, where spectacle, music, colour and positive party vibes come to together. Dubbed ‘The Craziest Party in the World’, elrow brings a closer connection between show, artist, performers and guests . This travelling party has brought festivals and clubs around the globe to life and is set to debut on the island of the gods to spread its wildfire of positive party experiences! Elrow will take over Manarai Beach House for its soft opening event; this is ISMAYA Group’s newest venture in Bali and introduces a brand new lifestyle and nightlife experince to the white sand shores of Nusa Dua. Having debuted in Indonesia with ISMAYA’s Djakarta Warehouse Project (DWP), elrow returns in this epic collaboration to bring Elrow Sambodromo do Brasil to Manarai on Saturday, 25 August 2018. The event is set to be a truly unique dance music spectacle with their grande Brazilian theme concept and production that have visited numerous countries around the world including China, Italy, and Paraguay last week alone. 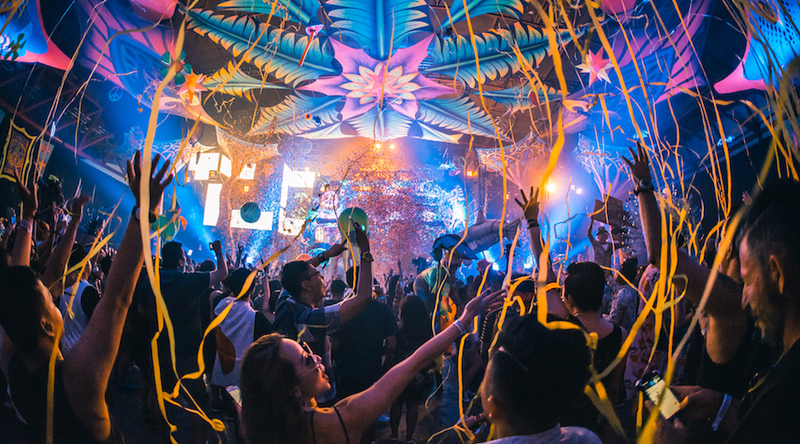 The magnificent concept will find spectators in a jungle-like atmosphere surrounded by Elrow’s signature colorful decorations with dancers and performers joining the audience on the dance floor as DJs lead the crowd from stage adorned with confetti rains galore. Elrow Sambodoromo do Brasil event will mark Elrow’s first ever Bali event that will feature an eclectic lineup of performers including Chelina Manuhutu, Marc Maya, Rafa Barrios, Tini Gessler, and Candice Halliday. Tickets to Elrow Sambodromo do Brasil are available for purchase at IDR 660,000 per ticket for the GA – Early Bird category at www.ismaya.com/tickets.